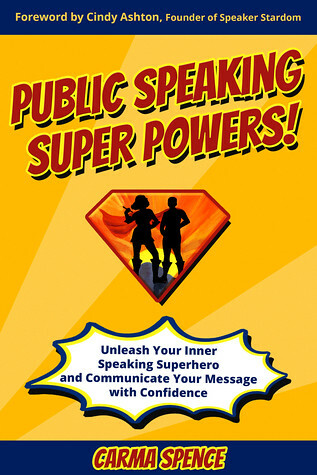 Public Speaking Super Powers by Carma Spence is the book to read if you want to start public speaking or if your public speaking needs improvement. This book Public Speaking Super Powers by Carma Spence will give you get information to feel more confident while public speaking. Public speaking can really make people very nervous, this book explains and tells you how to use that energy to your advantage. There is so much great information in this book to get you started, improve yours public speaking skills. 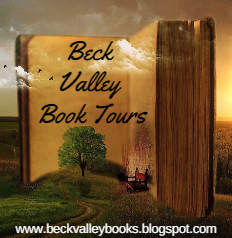 I received this book free from Beck Valley Tours to review and share my honest opinion. My opinion is my own. AND, COULD YOU DEVELOP THOSE SUPERPOWERS YOURSELF? Author Carma Spence asked these questions of dozens and dozens of speakers and discovered the answer was, “Yes!” Three out of every four people suffer from speech anxiety, and research suggests that people who don’t confront and overcome that fear are less successful in their careers and lives. However, people often look at successful speakers as superheroes with superpowers they, as mere mortals, could never possess. Drawing from extensive research and interviews with business and professional speakers, Public Speaking Super Powers will show you how to: ↪ How to overcome the fear of speaking ↪ Develop the skills needed to be a success on the stage, such as storytelling and humor ↪ Master techniques like a superhero speaker, such as audience engagement, and using your voice, body language and eye contact effectively and much more… There is even a bonus chapter on the business of speaking. Unleash your inner Public Speaking Superhero and communicate your message with confidence starting today! I BELIEVE IN YOU. YOU CAN TOTALLY DO THIS. GET READY TO UNLEASH YOUR INNER SPEAKING SUPERHERO AND COMMUNICATE YOUR MESSAGE AND KNOWLEDGE WITH CONFIDENCE! Have you ever struggled with speaking in public? Are you introverted, shy or, at times, socially awkward? Do you find it challenging to communicate your value with confidence? 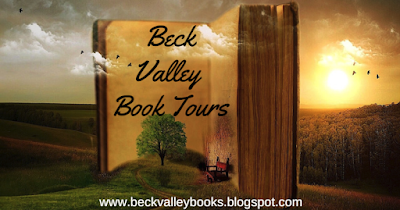 I’m Carma Spence, and I can say I’ve struggled with all these things myself at one time. I’ve lacked self-confidence. I’ve avoided speaking before groups. I’ve even kept silent about the value I have to offer the world. No longer. From personal experience, I know for a fact that you can be a decent speaker even if you are introverted, shy and socially awkward. And, this is one of the reasons that I’ve written Public Speaking Super PowersTM. Public speaking is an important, possibly essential, skill to learn. 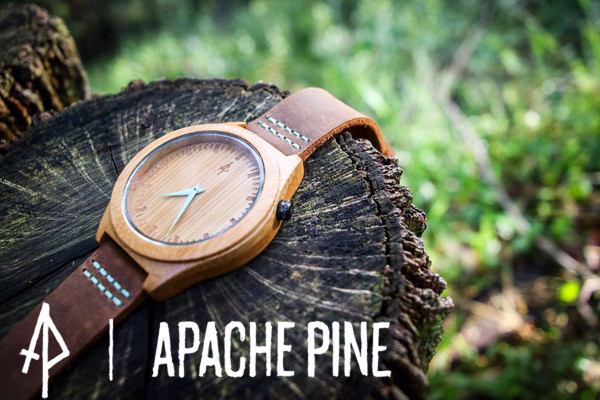 ↪ It increases self-confidence and courage. ↪ It is good for business and your career. ↪ It can improve your listening skills. ↪ And, it can help you in your relationships. Public Speaking Super PowersTM was written for beginner and intermediate speakers: Those who’ve never felt comfortable speaking in front of a group, as well as those who have just gotten their feet wet but know they still have a lot to learn. It covers all the foundational skills and techniques needed to be a decent public speaker and provides a path for improving communication and speaking skills over time. 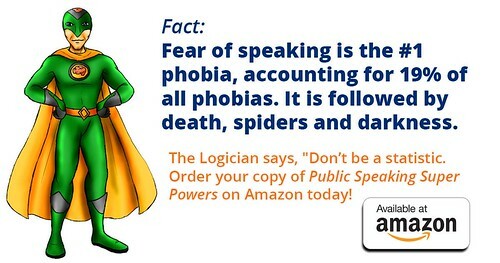 In this book, you will learn how to unleash your inner public speaking superpowers the five key speech writing skills the six foundational delivery tools and techniques and more! At the end of this book, you will be able to identify your speaking strengths, as well as areas for improvement, and create a plan of action to take you from where you are now to where you want to be. So, are you ready to unleash your inner speaking superhero and communicate your message with confidence? Carma Spence, author Public Speaking Super Powers, is a self-confessed “geek who speaks.” She is fiercely committed to supporting people who are introverted, shy, possibly even socially awkward as they unleash their inner speaking superhero and boldly communicate their message with confidence. Her superpower is to help her clients see what is possible for them and guiding them on the journey from where they are to where they want to be, Vanquishing the Mind Goblins of self-doubt, self-sabotage and second-guessing that keep them stuck. 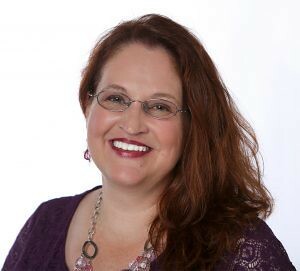 Carma is an award-winning editor and speaker, as well as International Best-Selling Author, with more than 20 years experience in marketing, public relations, and science communication. She lettered in Speech in high school and earned a Degree of Honor with the National Speech & Debate Association. She has been a member of Toastmasters (off and of) since 1989 and has earned her Distinguished Toastmaster (DTM) award, an award earned by completing a variety of speaking and leadership assignments in the Toastmasters program. Public Speaking Super Powers is her fifth book and is published under the Author Academy Elite imprint.